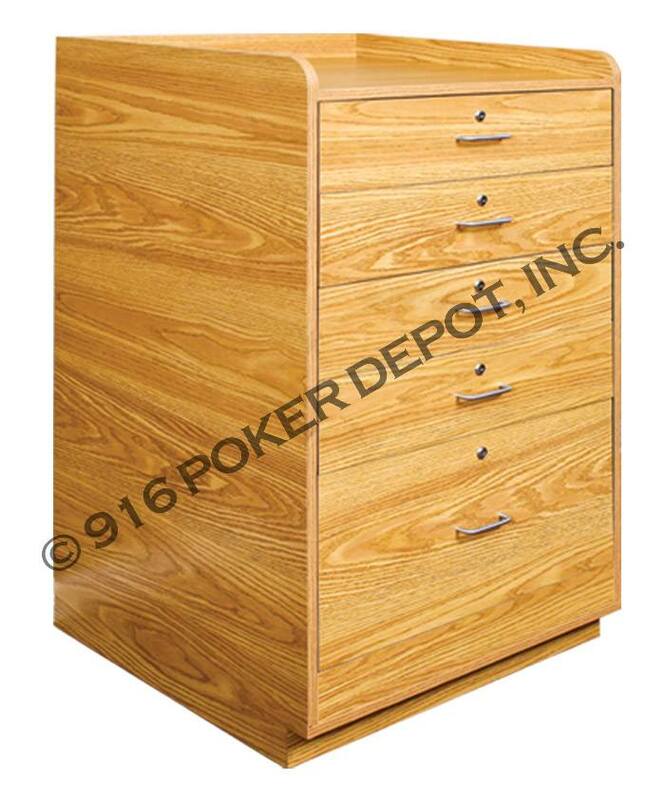 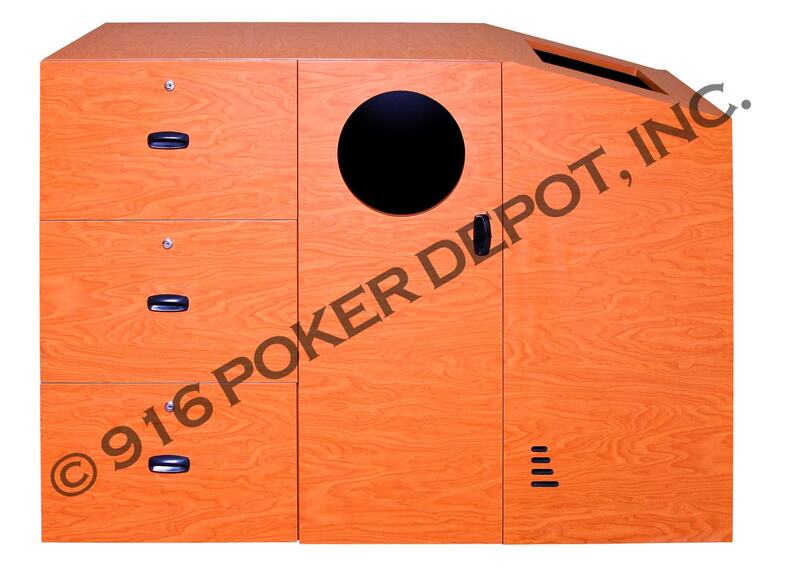 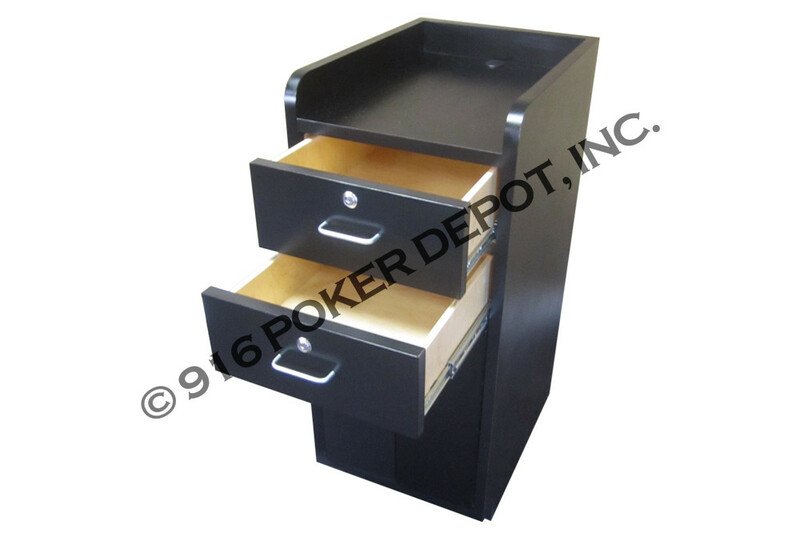 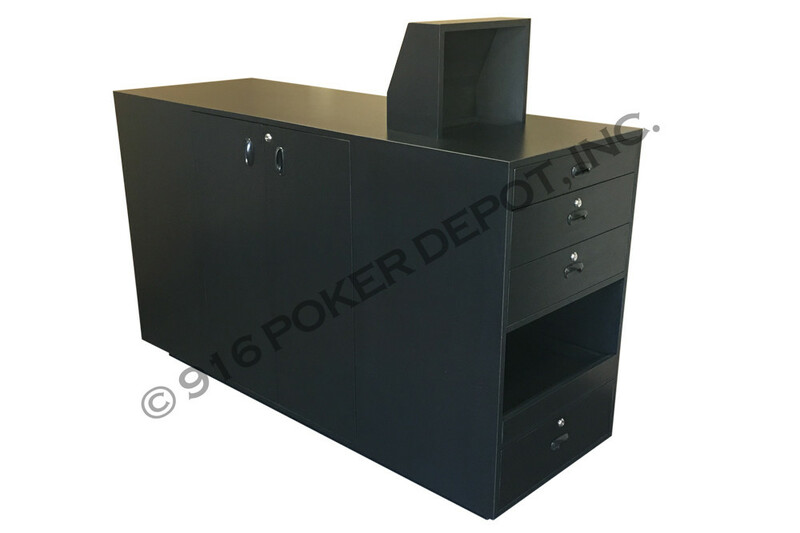 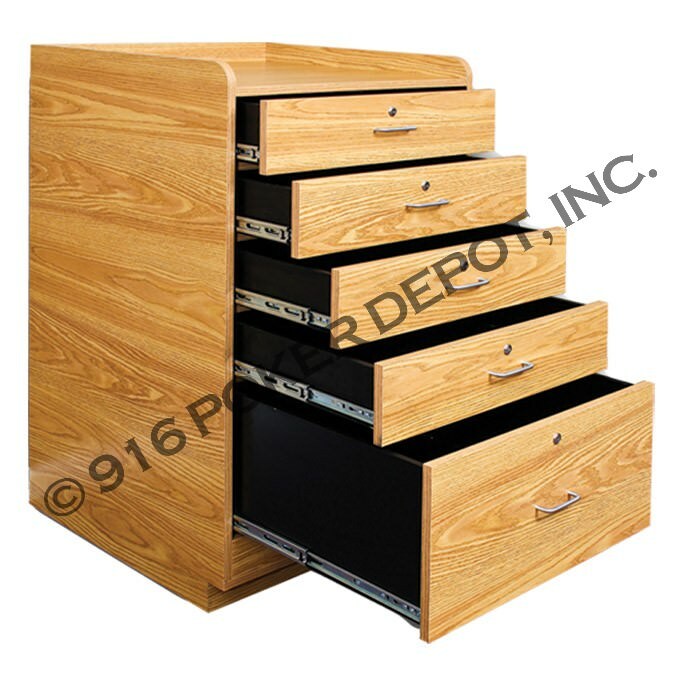 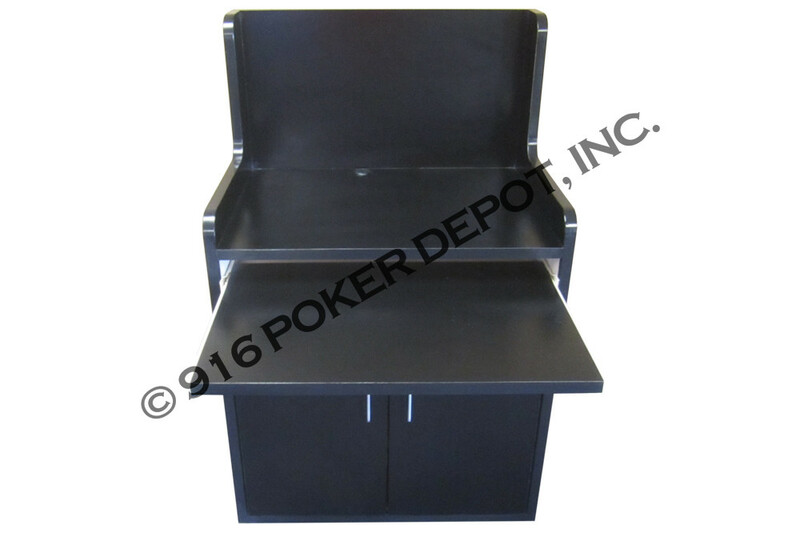 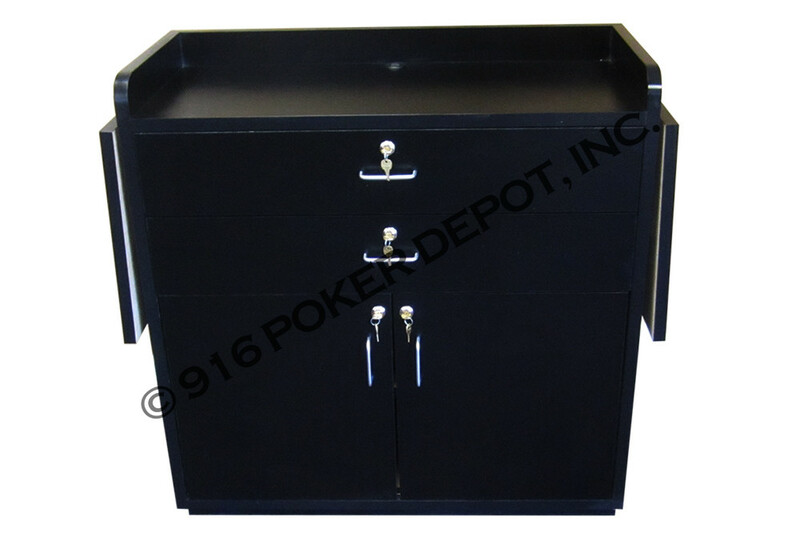 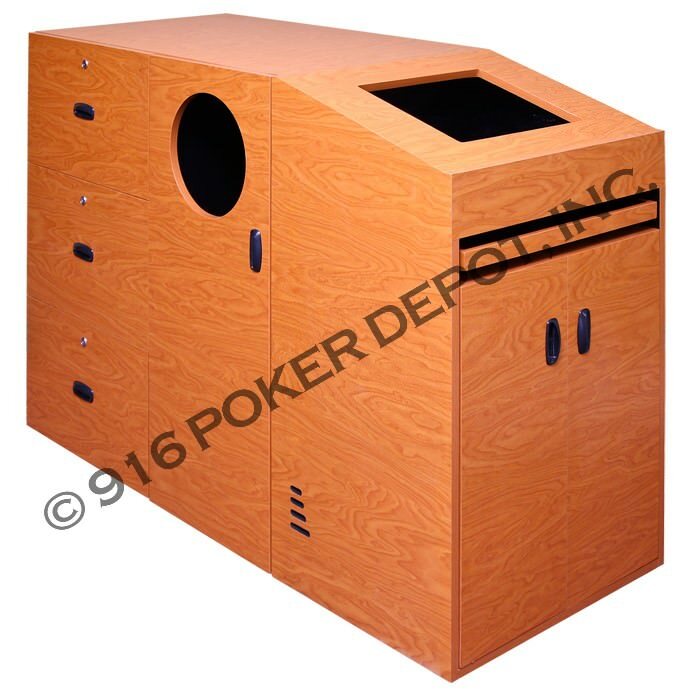 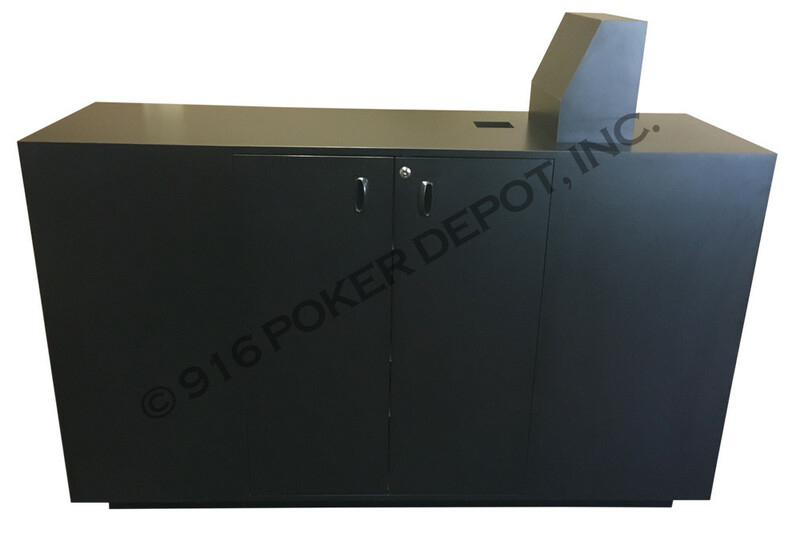 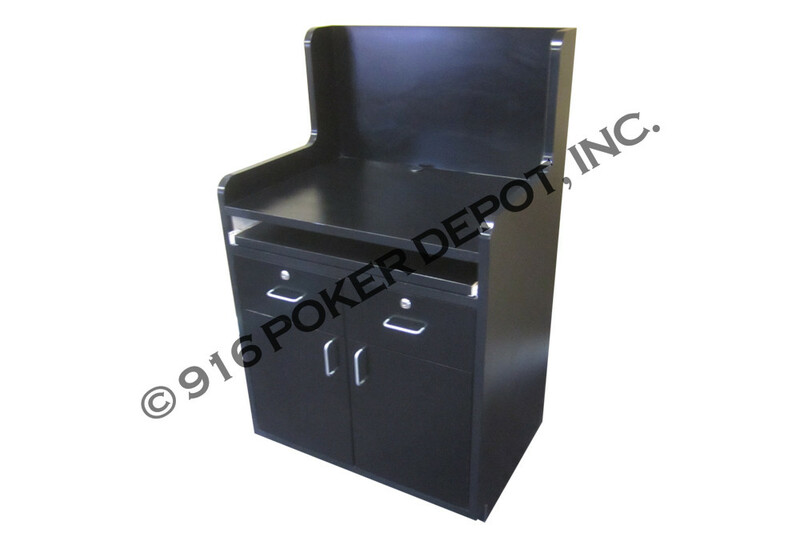 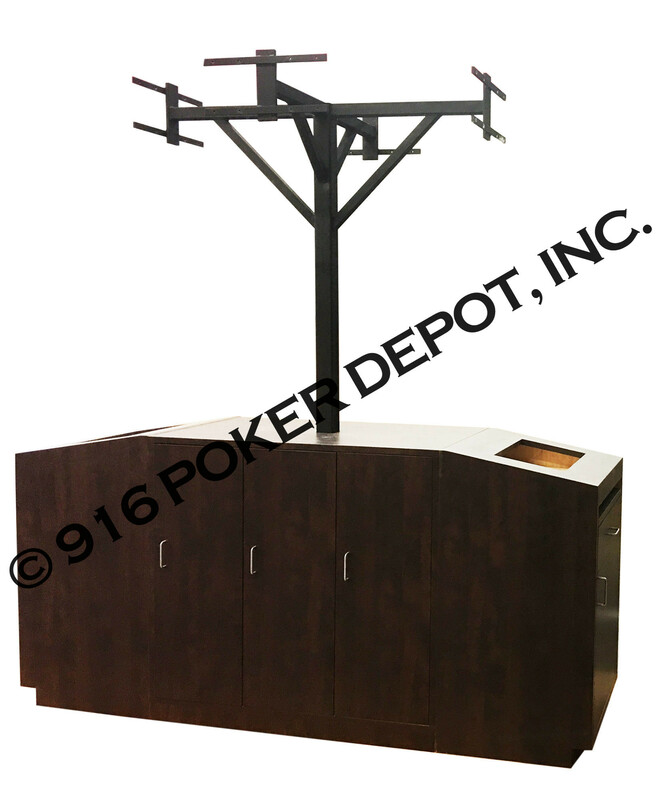 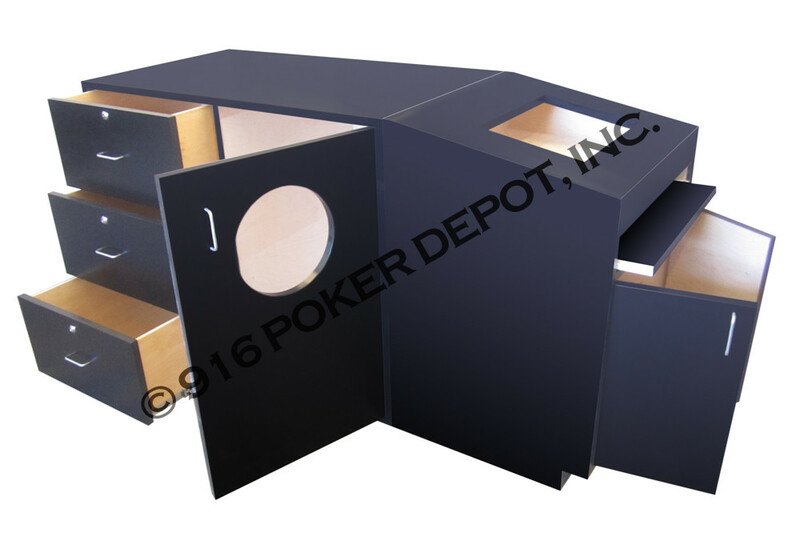 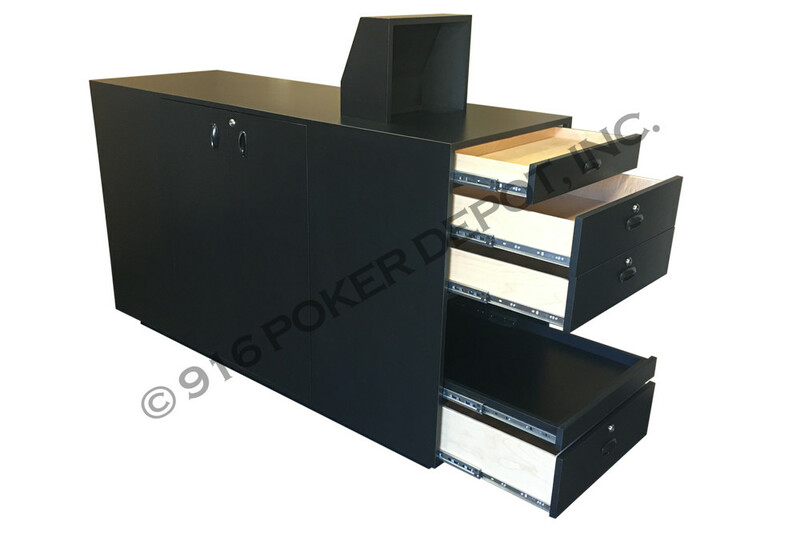 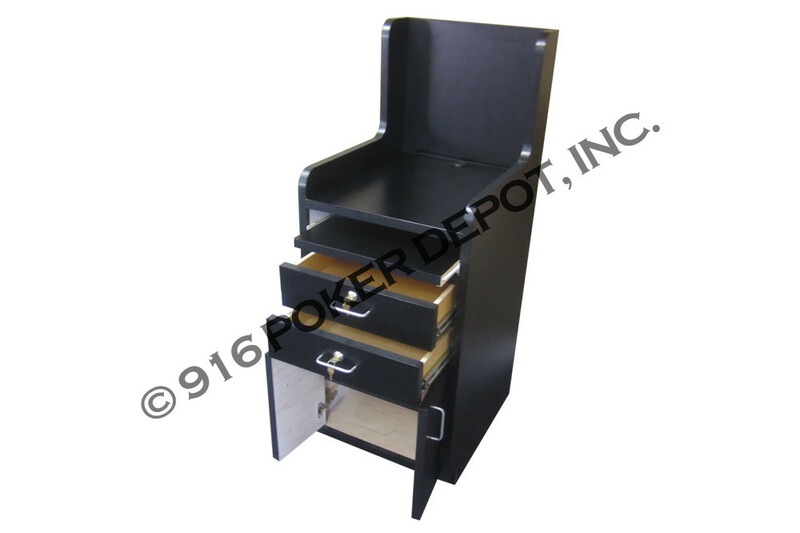 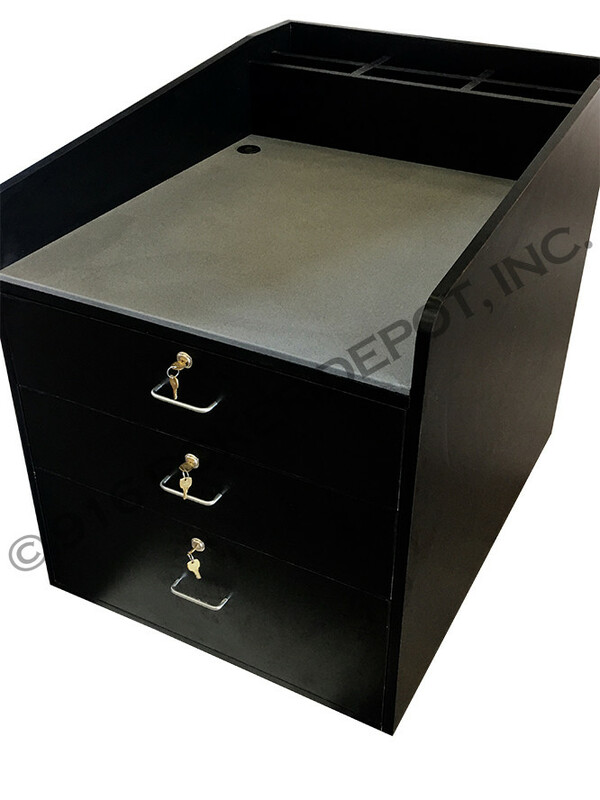 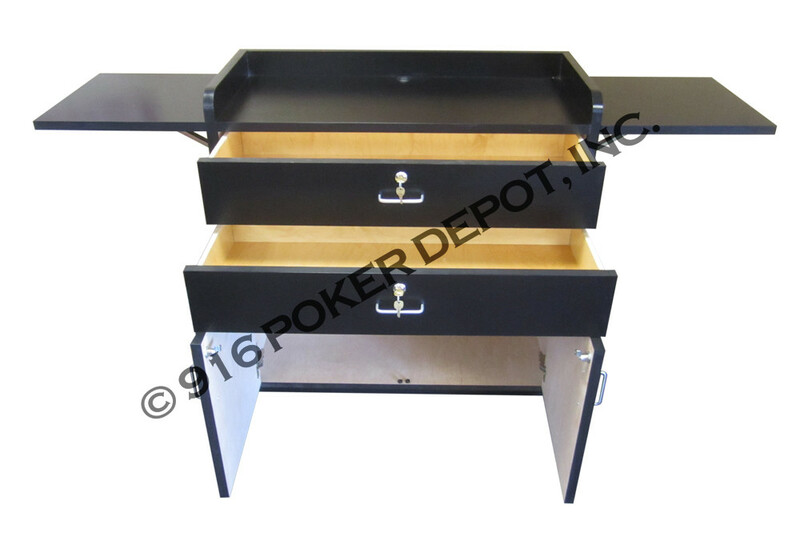 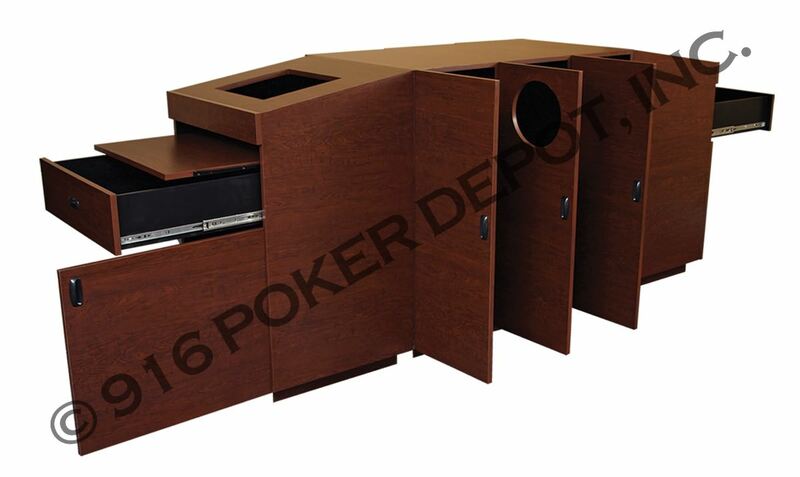 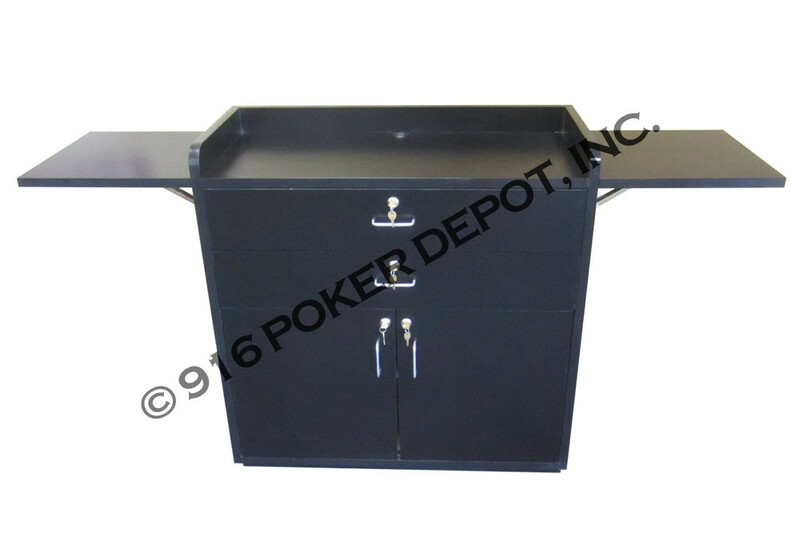 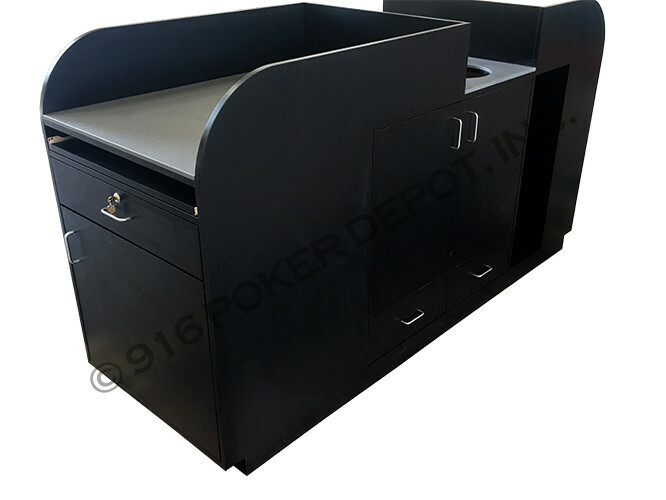 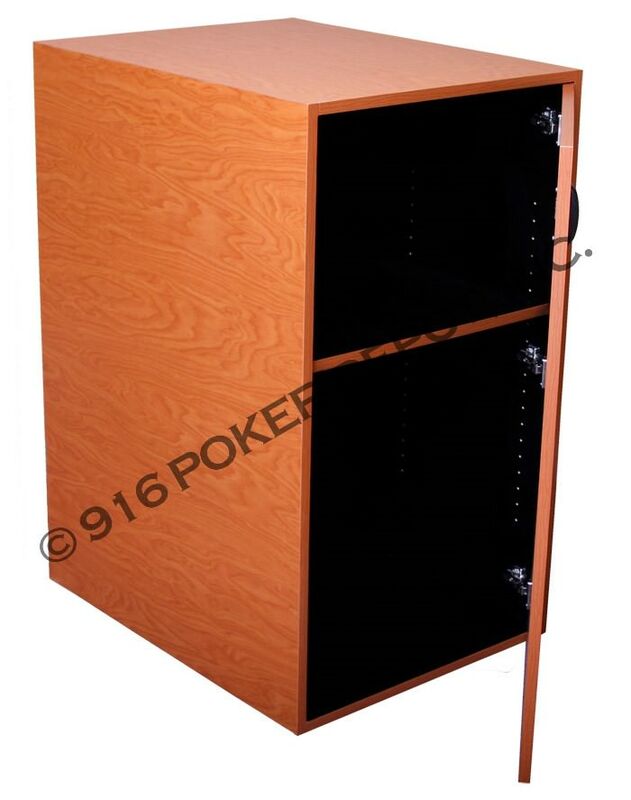 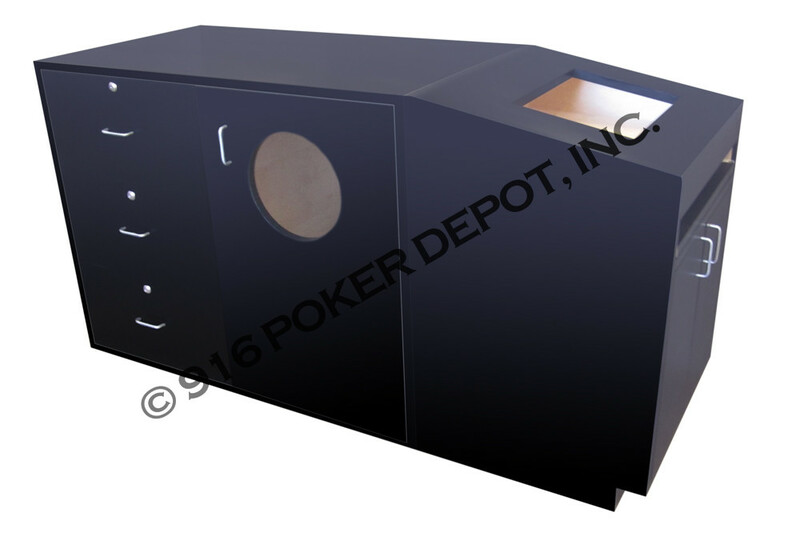 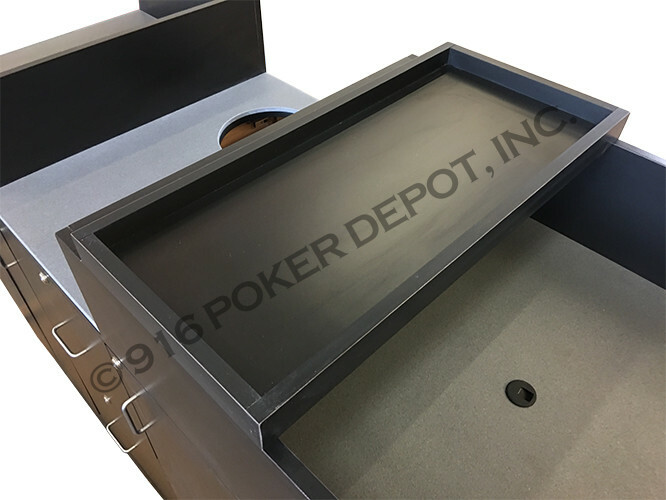 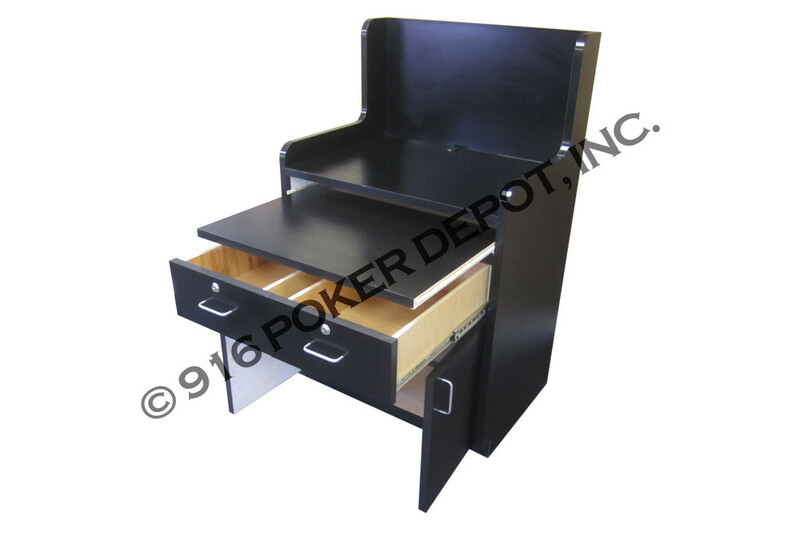 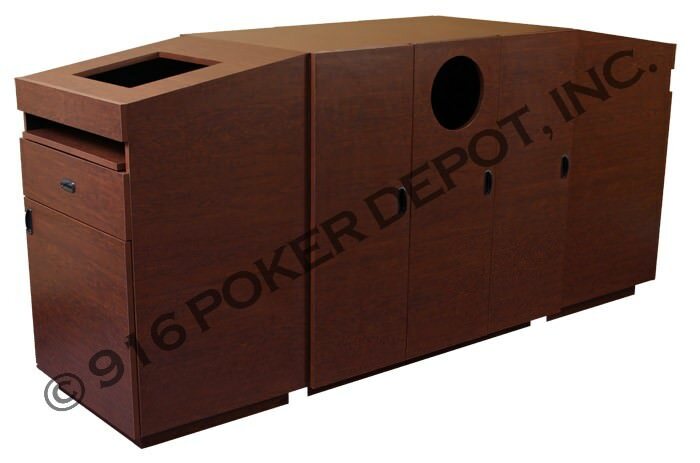 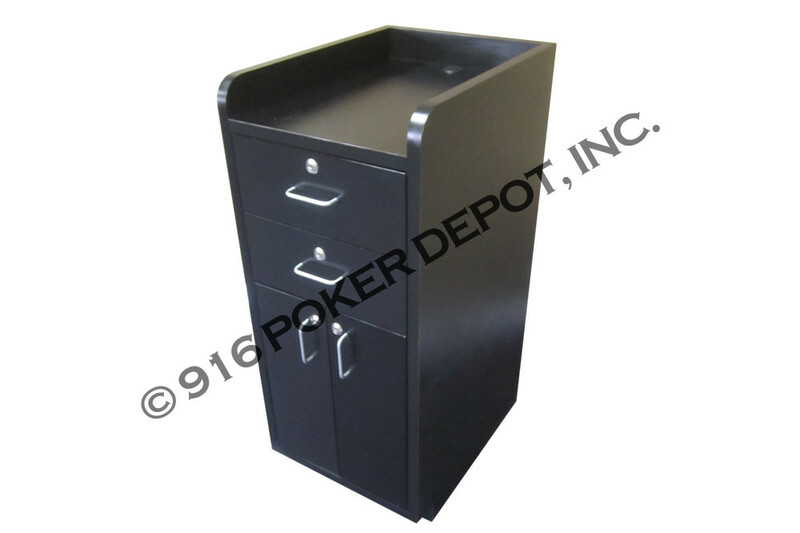 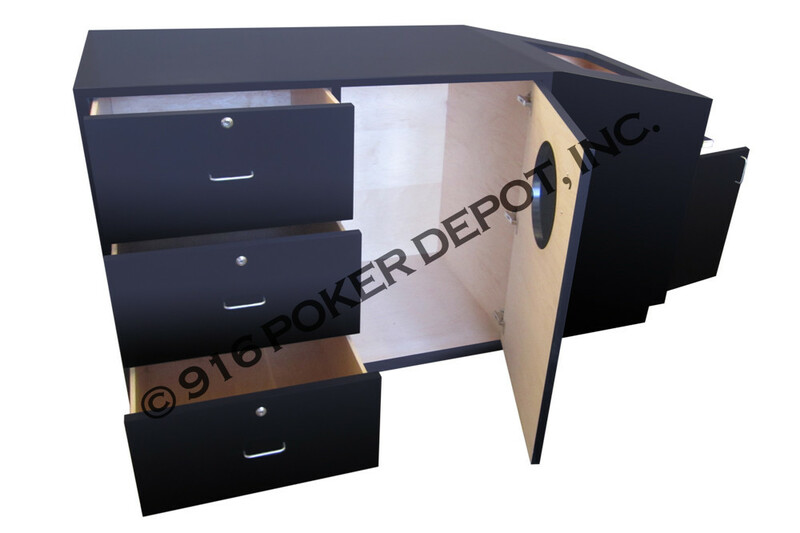 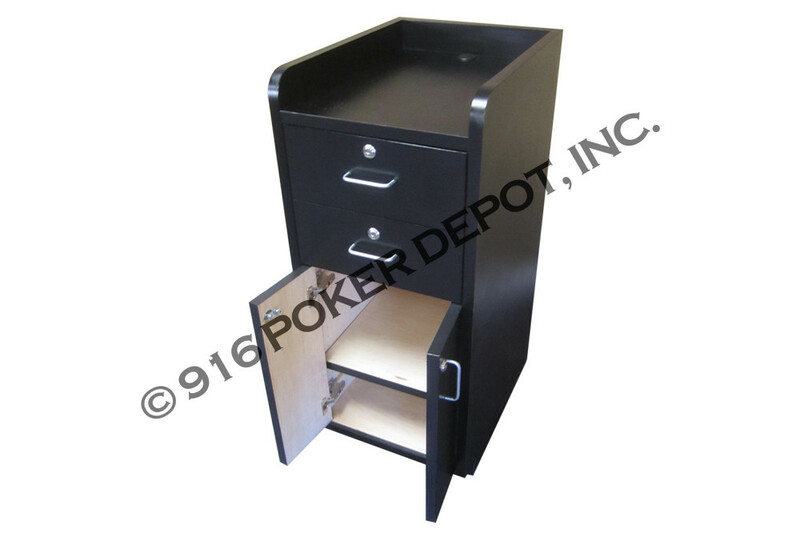 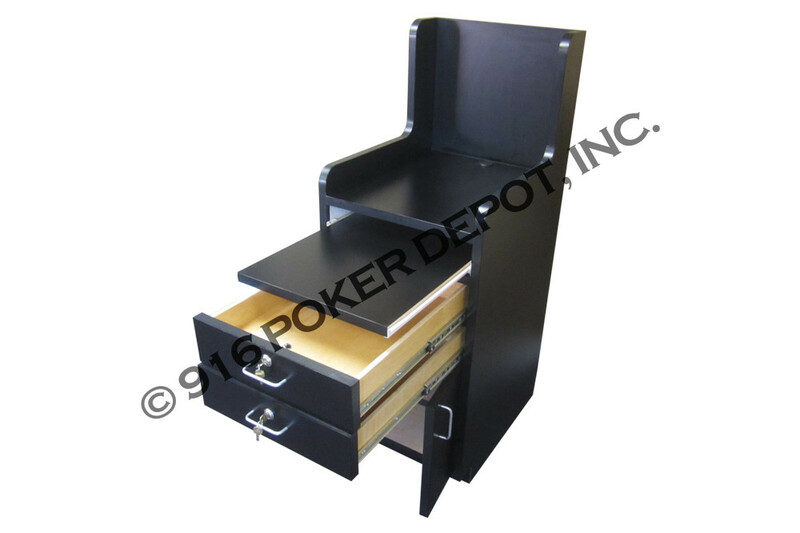 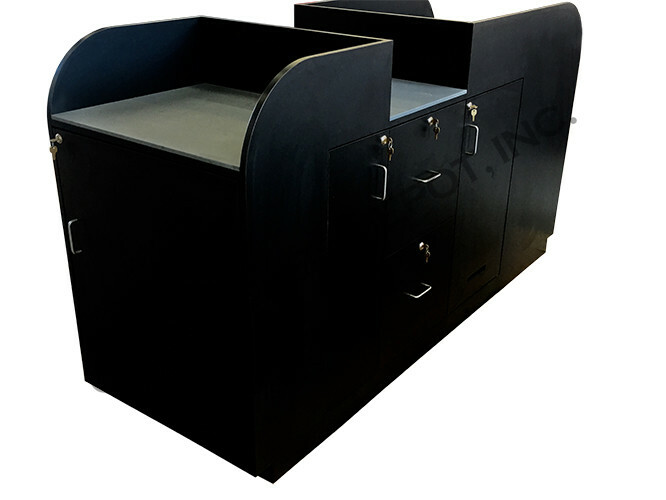 916 Poker Depot, Inc. is the industry leader in Casino Pit Podium Manufacturing. 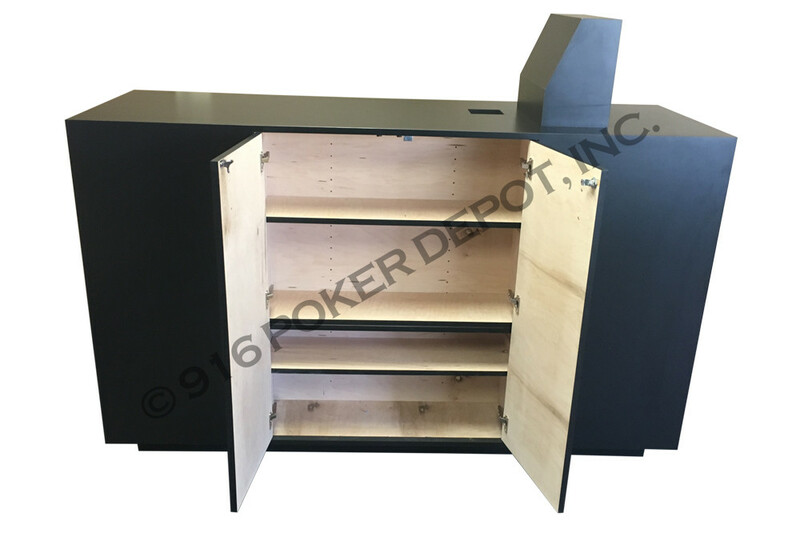 Each pit podium is custom designed by hand constructed by master craftsman with the highest quality materials available. We utilize state of the art CNC machinery and the best design software available in the industry today. 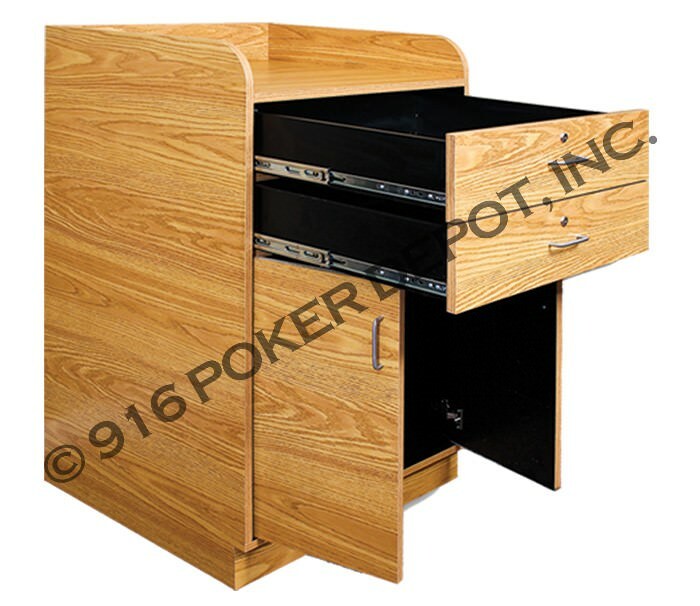 All of our casino pit podiums are manufactured at our Folsom, CA U.S.A. facility. 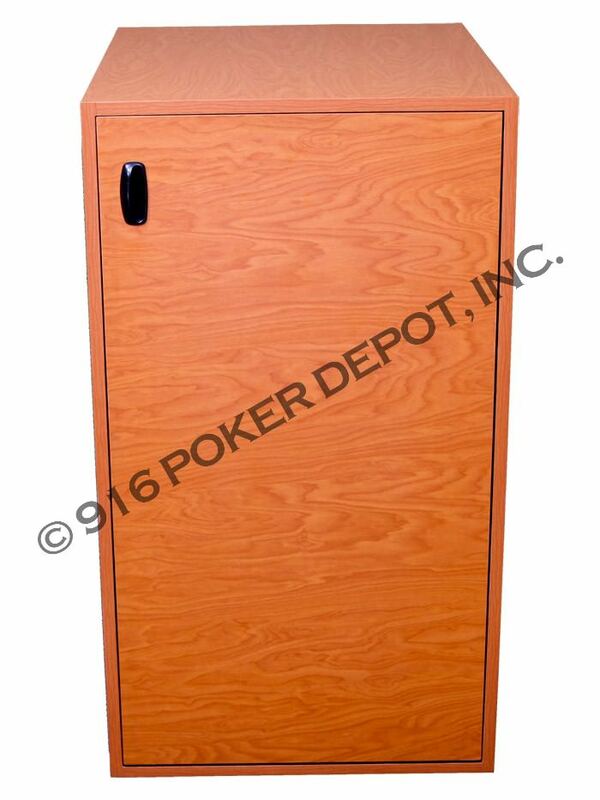 We use commercial grade premium domestic plywood so all our podiums are built to last. 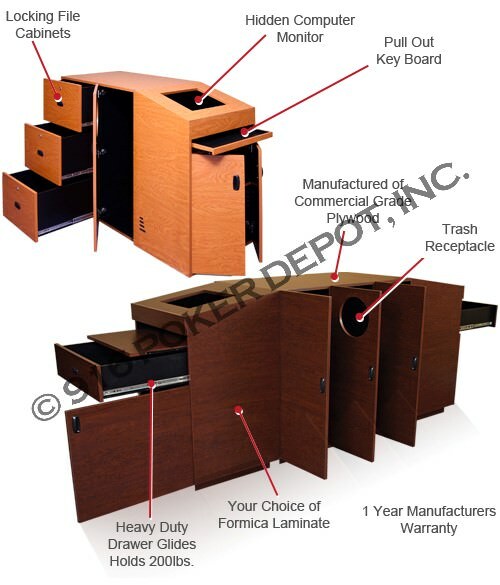 No particle board no MDF on any of our products, we use only premium products. 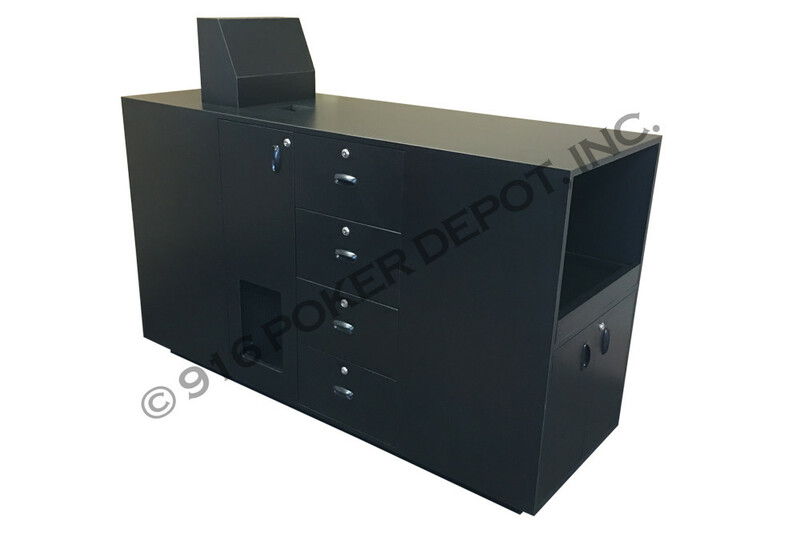 Our computer work stations and single pit podiums are fully customizable to any size or specification imaginable. 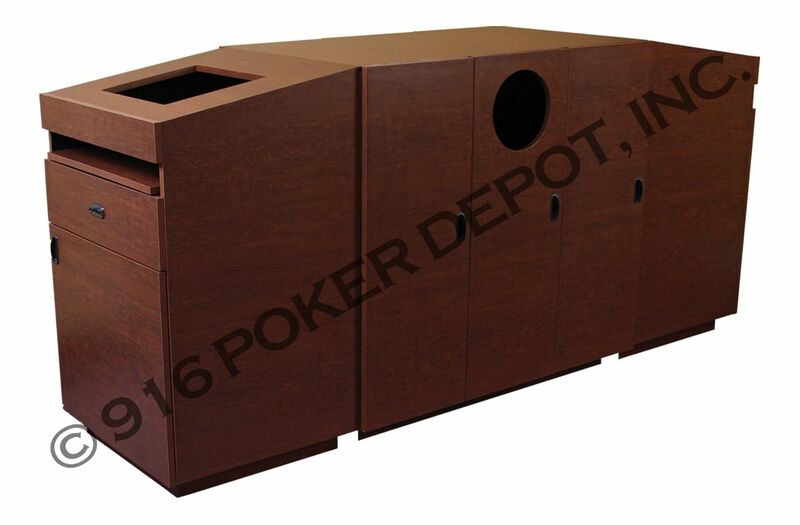 Quick access built-in trash receptacles can help keep your gaming floor clean. 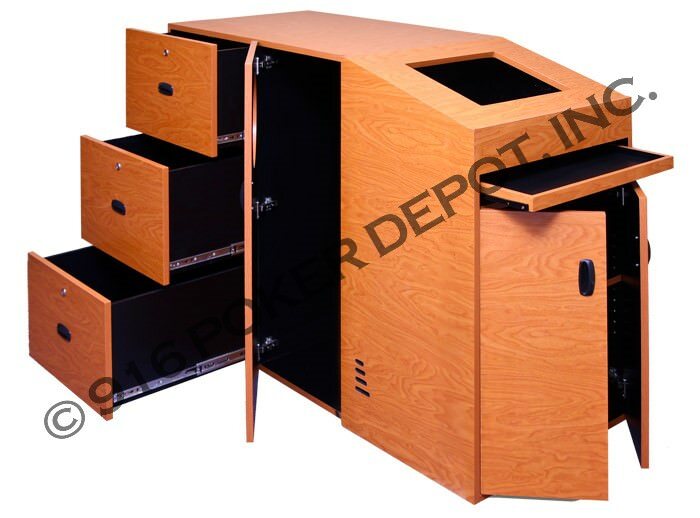 No need for employees to search for a trash can, this is easily accessible to employees and surveillance. 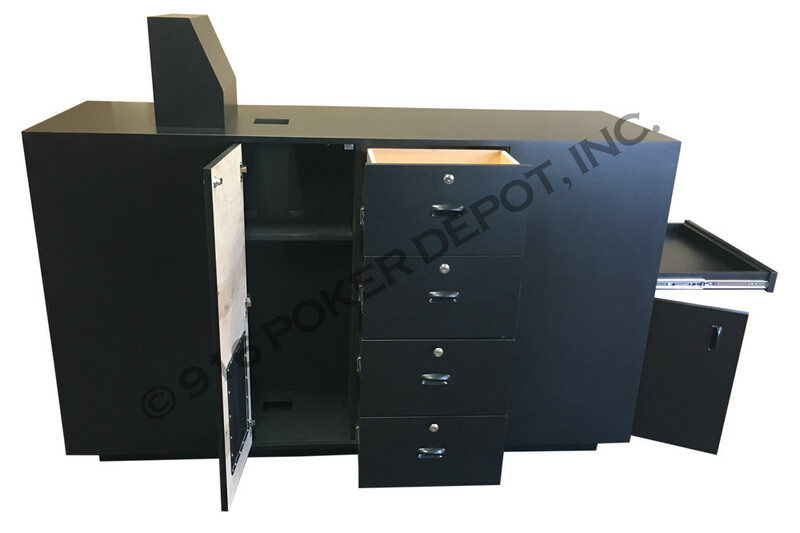 Features can include, pull out keyboard, recessed computer monitor and PC storage area, playing card storage, hanging files and more. 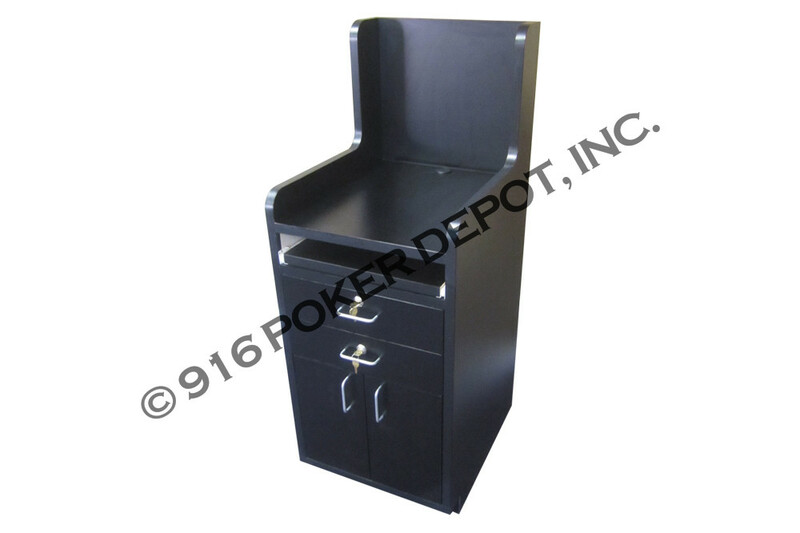 Pit podiums from 916 Poker Depot are engineered with casino operations in mind. 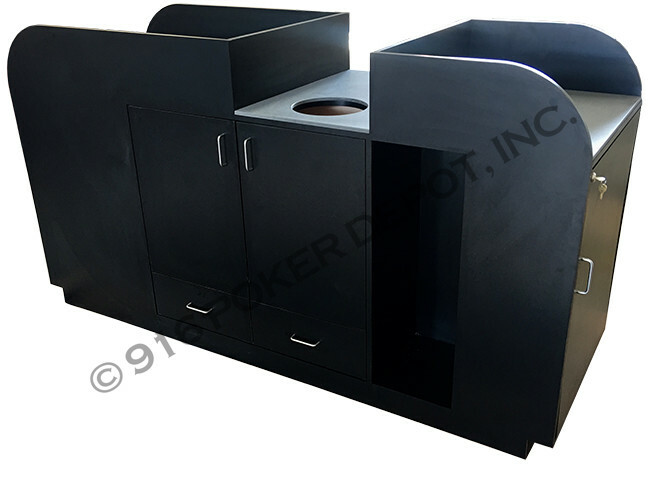 Please contact us today to discuss your casino’s project needs. 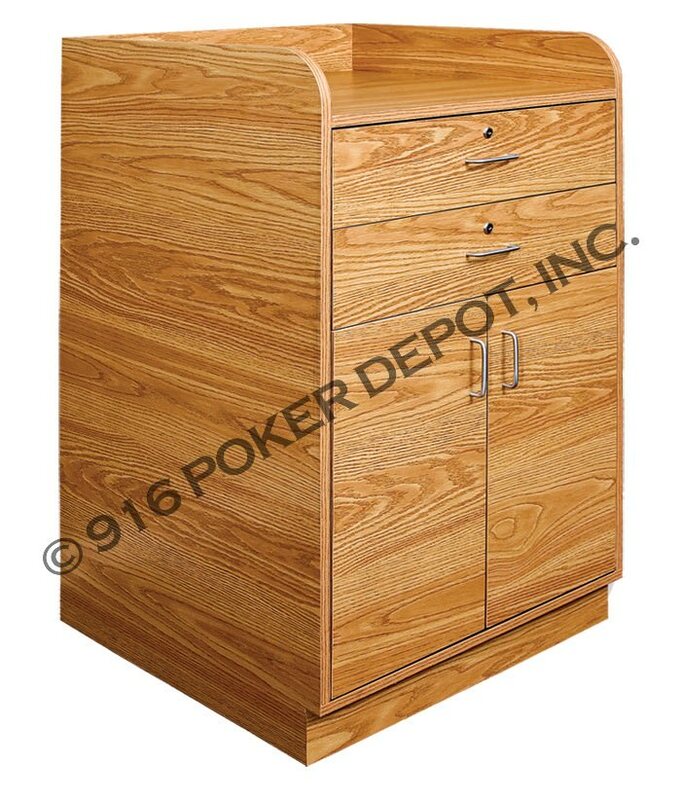 For choices of Laminate Options, click for PDF!